I recently hit 1.700+ Followers on Tumblr, 4.700+ Likes on Facebook and 100.000+ Pageviews on DeviantArt! Thank you very much for your support! IT'S TIME FOR ANOTHER GIVEAWAY / SWEEPSTAKE!! This time I am giving away 3 GOODIE SETS! All sets contain a merchandise product and a signed DIN A5 print of one of my pictures. The products were provided by CloseUp.de! Check out their OnlineStore and Give them a Like! This is an international sweepstake. People from all over the world are allowed to participate. The sweepstake starts today, Friday, June 21st 2013 - 09:00 PM CET and ends on Wednesday, June 26th 2013 - 11:59 PM CET. 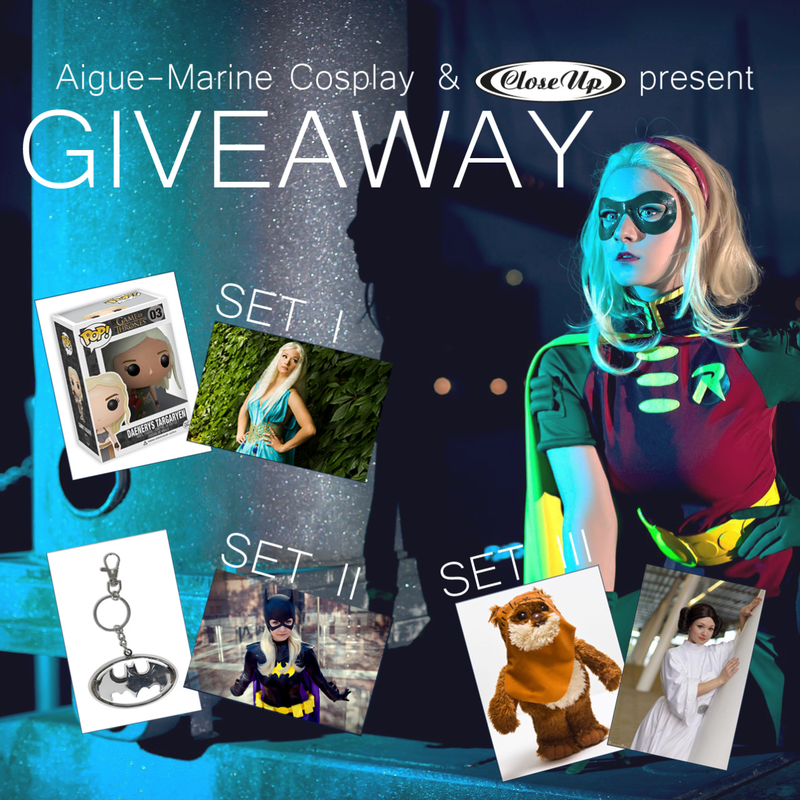 The winners will be chosen and announced on Thursday, June 27th - 02:00 PM CET on Aigue-Marine Cosplay. HAVE FUN PARTICIPATING! May the odds be in your favour! Did you know I am selling a couple of prints on my own StoreEnvy now? Feel free to stop by!